Sakai Guides and DocumentationAssessments and Grading GradingHow are grades calculated in Gradebook? 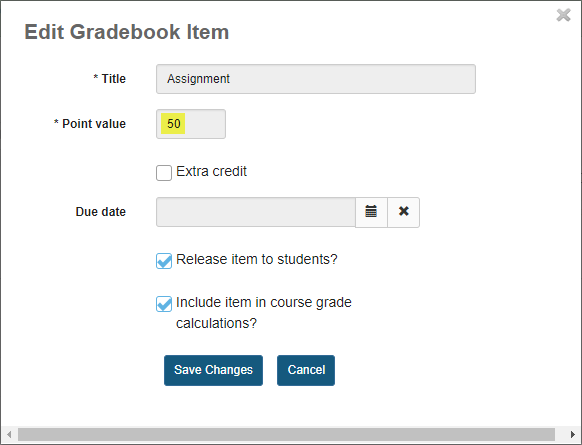 Only Assignment has been graded. Only the grades that have been entered are calculated. 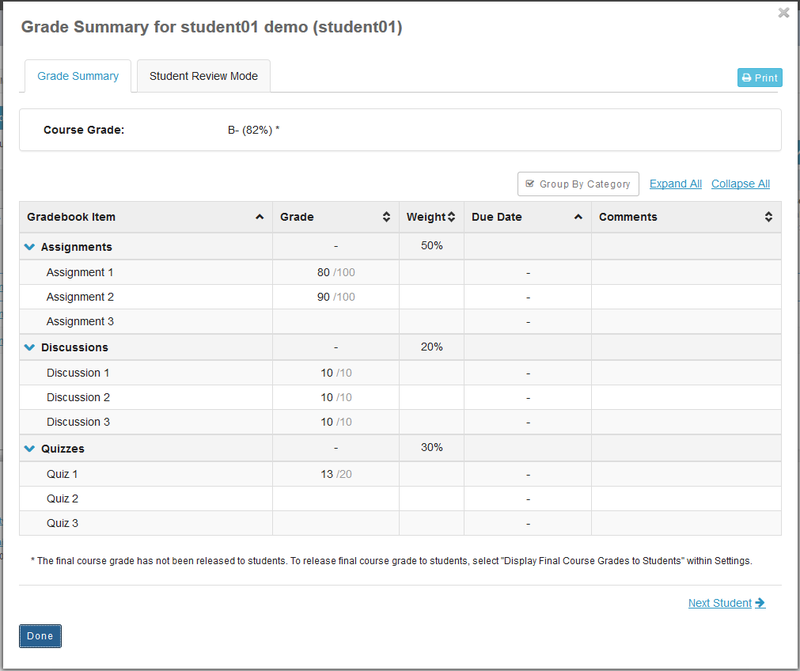 Student01 has not submitted a quiz, so her grade is still (90 + 35) / 150 or 83.33%. 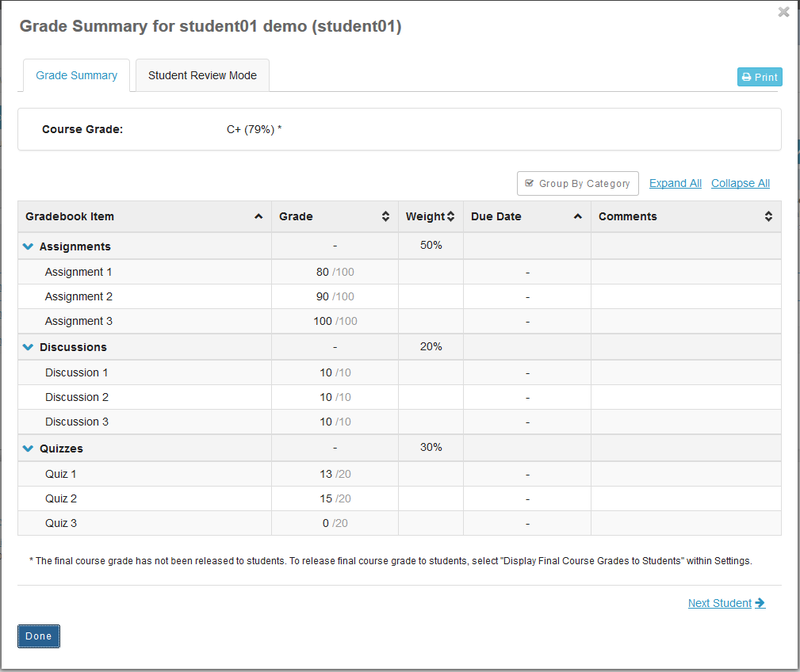 Student01 with no ungraded items. 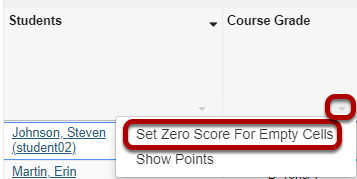 If you would like to enter zeros for all ungraded items in the course, select the down arrow in the Course Grade column and then select the Set Zero Score for Empty Cells option to update all items at once.